NASHVILLE, Tenn. – Latrina Williams was recently named Vice President-Controller for YWCA Nashville & Middle Tennessee. Williams manages the financial, technological, and administrative activities of the YWCA. She is responsible for accounting, billing, financial planning and forecasting, IT/ technology, treasury management, risk management, property, and administration. 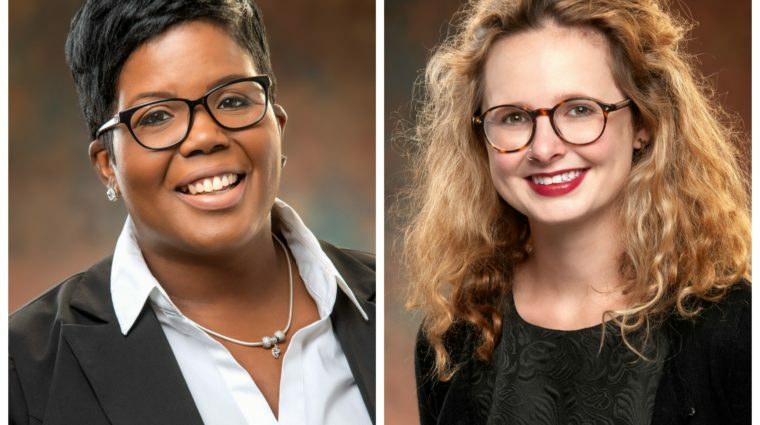 Prior to joining the YWCA, Williams served as Senior Accounting Manager for Community Care Services, a nonprofit agency serving people with mental health and substance use disorders in southeastern Michigan. Originally from Michigan, Williams earned her undergraduate degree from Davenport University and a Masters in Business Administration from Strayer University. Landon Funk joined the YWCA as Director of Operations of the AMEND Together program in June. In this newly created position, Funk manages the product development, grant outcomes, training and administrative activities of the AMEND Together (formerly MEND) program. Prior to joining the YWCA, Funk served as the Outreach Specialist for Metro Nashville’s Office of Family Safety. Originally from Nashville, Funk graduated from Princeton University with a degree in English and African American Studies. She is a JD candidate, scheduled to complete in 2021, and a certified power yoga and trauma-informed yoga instructor. For 120 years, YWCA Nashville & Middle Tennessee has helped women, girls and families in Nashville and Middle Tennessee build safer, more self-sufficient lives. YWCA is dedicated to eliminating racism, empowering women and promoting peace, justice, freedom, and dignity for all. The following programs are offered regardless of race, ethnicity, religion, gender or gender identity: Girls, Inc. at YWCA, AMEND Together, Domestic Violence Services, Family Literacy Center, and Dress for Success Nashville. For more information, visit www.ywcanashville.com, follow us on twitter @YWCANashville and find us on Facebook facebook.com/YWCANashville.